One of our most recent additions to the Top Gun line is the PC160RA-2527LAB. 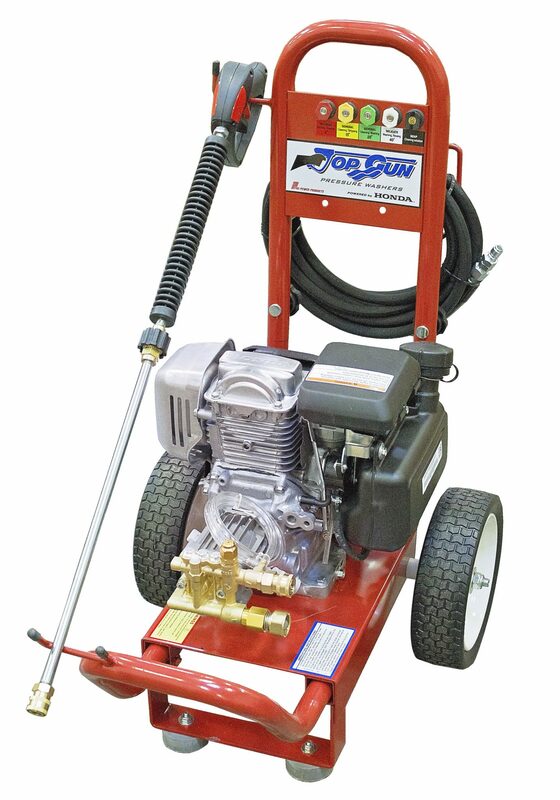 Even though this is the most affordable pressure washer from Top Gun, it does not cut any corners. Powered by a reliable GC160 Honda Engine Comet Axial pump. The high back frame and 10” flat free tires also make moving this unit a breeze. With proper care and maintenance, this machine can be used season after season for all your tough clean up jobs. All Top Gun pressure washers come standard with 4000 psi rated 3/8” hose, 5 cleaning nozzles, quick connect fittings, and integrated wand holders.